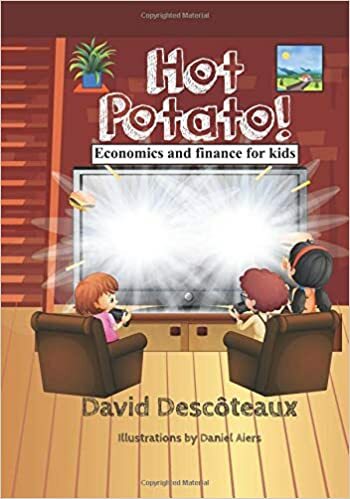 Hot Potato!, volume 5 of my series of children books on finance and economics, is now available in paperback, and it’s beautiful! Order here on Amazon. Anne, Nelly and Manuel find themselves transported right into a video game. The only way to get out again is to score 10,000 points and win the game. To do this, they have to manage a restaurant and juggle the forces of supply, demand and price. Will they be able to get to the magic number and find their way back to reality? Hot Potato! A book about entrepreneurship and the laws of supply and demand, it is the fifth in a series designed to present the principles of economics and finance to young readers through the magic of stories.